Another source who is conversant with the apartment of interest indicated that some woman usually appeared on different occassion with Ghana Must Go bags. ” She comes looking haggard, with dirty clothes but her skin didn’t quite match her outward appearance, perhaps a disguise”, the source said. On getting to the building, operatives met the entrance door locked. Inquiries from the guards at the gate explained that nobody resides in the apartment, but some persons come in and out once in a while. 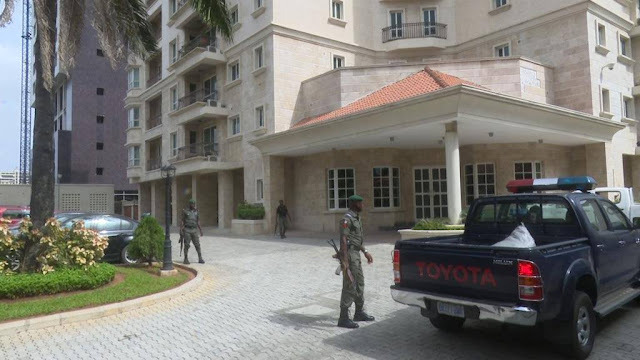 In compliance with the magisterial order contained in the warrant, the EFCC used minimum force to gain entrance into the apartment. Monies were found in two of the four bedroom apartment. Further probe of the wardrobe by operatives in one of the rooms, was found to be warehousing three fire proof cabinets disguisedly hidden behind wooden panels of the wardrobe. 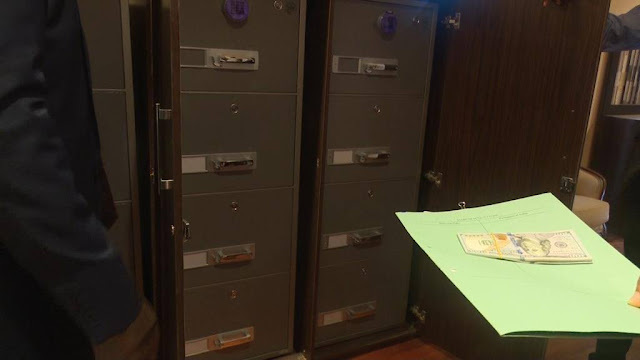 Upon assessing the content of the cabinets, neatly arranged US Dollars, Pound Sterling and some Naira notes in sealed wrappers. These criminals are making the dollar look like common local currency, abi se the place be bank? 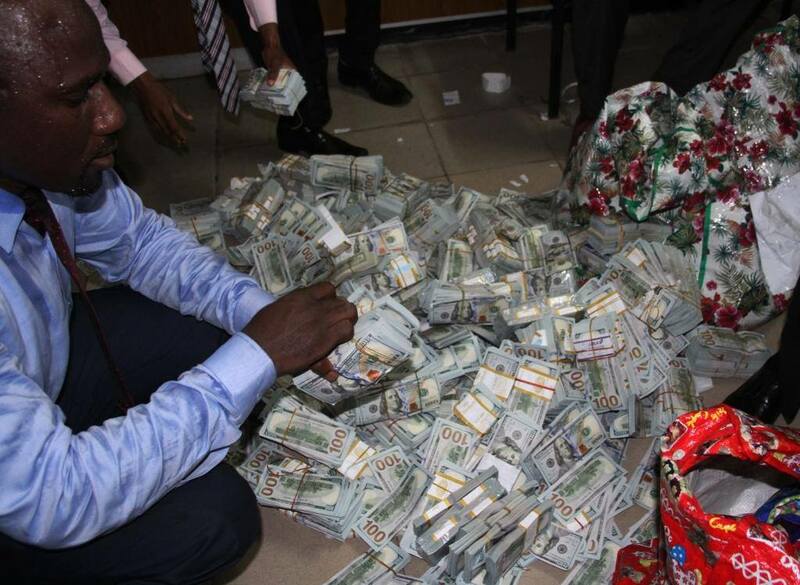 I would not be happy if some folks in other countries are doing this to our obodo money( Naira). Nigeria is moving forward if such discovery was made there is hope that more will be uncovered in one of the reachest nations, ironically tagged as one of the poorest. God have mercy. police is between govs and ppl. Nigeria police should wake up and realize that ppl u carry guns follow are distroy ur groundchildren futures. fight back now dont be silly. whistle Blowers, thank you so much for revealing this secret by helping millions of impoverished Nigerians. You still have more job ahead of you. All you have to do is to inform the authority. If you see something say something. This is one of the avenues to fight corruption in this Country. If our people have been exposing these thieves this way, corruption would have been reduced significantly. We may not have weapons but timely information will greatly help. I would implore most whistle blowers to continuing doing what they are doing may be God can use this avenue to help millions of Nigerians retrieving back their stolen wealth. whistle blower keep blowing and don’t get blow.